Today we are learning about glacial movement and erosion. After watching our video we will draw pictures and write captions in our Science Notebooks to share our learning with our classmates. Currently we are studying the Arctic. As scientists we are interested in how glaciers form. We learned how glaciers form by watching this excellent video. After watching the video we journaled about the process in our Science Notebooks. 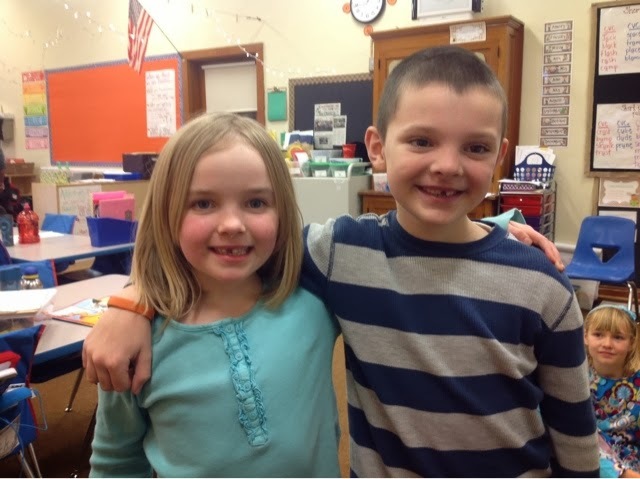 Two of our favorite classmates lost a front tooth this weekend! We couldn't resist sharing. Our Living Biography Wax Museum was a HUGE success last Thursday. Each student did an incredible job teaching us about their historical figure. The project linked reading, writing, social studies and character education together. Our local newspaper came out and created a wonderful video of our students. Thank you Mr. Baxter!